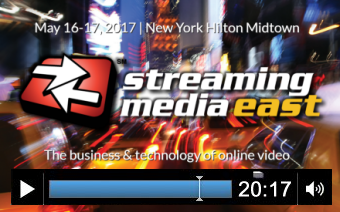 Thanks for joining us for Streaming Media East 2017. We'll be back at the Hilton New York on May 8 - 9, 2018! Can't wait until May? 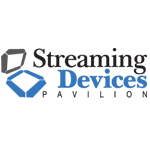 Join us this Fall for Streaming Media West on November 2 - 3, 2017 at the Hyatt Regency Huntington Beach in CA! Where is the industry headed? What are the hot, new tools and products? What strategies and best practices do you need to know? We're in the midst of incredible innovation and change in the digital media, entertainment, and online video industry. Shouldn't you have a front row seat? Streaming Media is the only conference and expo dedicated entirely to the business, technology, and content of online video. Attendees can learn from online video experts, try out new products on the expo floor, and, most importantly, have fun while learning new things and networking with your peers. You can expect to leave with actionable advice and new strategies for moving your business forward. Hear from over 100 speakers in more than 40 sessions including in-depth workshops, how-to technical sessions, case studies, panel discussions, and more. Get hands-on with over 50 over-the-top video devices and platforms at the Streaming Devices Pavilion. Get access to industry-leading companies demonstrating cutting-edge technologies in the Expo. Network with colleagues, peers, and experts in the online video industry. See who is coming. 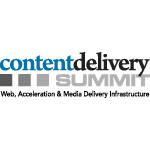 Get a detailed look at the technology and platforms being used to deliver and accelerate web content at our co-located event, Content Delivery Summit. Learn all about the challenges and opportunities inherent in delivering large-scale live events and live linear channels to multiple screens at Live Streaming Summit. Streaming Media East is for YOU! Each of Streaming Media East’s panel discussions, How To sessions, case studies and presentations is labeled with the business and technology categories or “Focus Areas” it represents, offering you a clear sense of which sessions match your areas of expertise or interest. There’s no shortage of highly relevant content to help you take your streaming activities to the next level and connect you with leading practitioners in the space. Encoding video for multiple screen sizes, for both live and on-demand, is a challenge with all the various platforms and devices in the market. Get real-world tips and tricks to encode video with better quality, to deliver the best viewer experience possible, on any device. Online video is a tool of change in enterprise and the world of education for both inside the firewall and outside applications. See how corporations and institutions are changing the way they communicate and how they use video to deliver the right message. Show me the money! Content monetization is always key when analyzing the ROI of current and future investments in technology. Explore strategies and trends in monetization and the platforms that make video monetization possible. From content ingestion to media management and delivery, the online video ecosystem is quite complex, with many moving parts. Learn how you can simply your workflow while still keeping it scalable and cost effective. For content owners looking to get their content on as many devices as possible, it's a tough task to figure out which platforms offer the best ROI and offer the best user experience. Learn how to turn the fragmentation in the device market into an opportunity for your business. Over-the-Top video and TV Everywhere offerings give broadcasters, MSOs and premium content owners new distribution platforms for their content. Discover the keys to unlocking the potential of OTT and TV Everywhere and its impact on the market. Live Webcasting is as much an art as a science and you only get one chance to get it right. 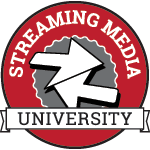 Streaming Media East provides a unique opportunity to learn the tips and techniques from best in the world at broadcasting live events. With almost no standards when it comes to video formats, protocols and platforms, making bets on how it will all play out is challenging. Learn the reality of what you can expect when it comes to HEVC, 4K, MPEG-DASH and HLS. Online video is a major disruptor of the traditional cable, broadcast and media industry, from the way content is monetized to how consumers watch content. See how those impacts will shape the future and create amazing opportunities, as well as unique challenges, for everyone involved.